I love meatballs, although, this has not always been the case. As I was growing up, there was always meat at our dinner table. For a brief time in my childhood, our family raised hogs. (Some had been known to be “cap gun” eating hogs). Thus, pork was one of our staple forms of protein. We also tried our hand at raising geese for a while. (Unfortunately, the hogs not only ate cap guns…they also ate geese. Thus the geese never officially made it to our table). We would also occasionally purchase a side of beef, and we frequently ate venison bagged from the hunting season of the previous November. My mother would not serve the meat as simple, basic meat. For reasons that befuddled me at the time, my mother was insistent upon adding onions to the meat. I hated onions…she knew I hated onions…yet she would constantly attempt to sneak the little white devils into the burgers, on top of the roasts, or wrapped around pork chops and there was never an onionless meatball to be found. Meatballs and mashed potatoes were a common meal as a child, and though I liked the idea of the meal…it became tiresomely impossible to pick out every tiny onion piece out of each and every meatball on my plate. As everyone else was finishing up their supper…I was still removing the translucent flakes of doom from the first of my three meatballs. They were so small…yet noticeable…and extremely difficult to extract. Why didn’t she keep them bigger…thus making my life easier? I cannot begin to imagine how many hours I could have spent helping with the dishes had I not been so busy removing onions. Today is different. 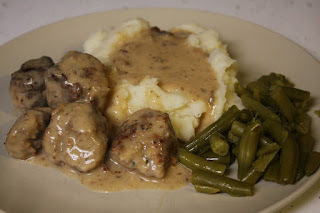 Whether it is because I tired of eradicating the onions from my meatballs or because I actually acquired a taste for the little white vegetable, I now enjoy onions…and I am quite fond of them in my meatballs. I cannot help but observe a metaphor of unity in the meatball and onion. Once my mother had put all of the ingredients of the meatball together…the burger, the onions, the eggs, the oatmeal, etc…there was no chance of truly separating the elements. In fact, in attempting to do the impossible…damage is actually caused to the meatball. In John 17:20-26, Jesus prays for all of the people who WILL believe in him…in the future. He prays that these believers will have “unity.” Unity is more than just getting along…it is being bonded together…to form a greater good…like a meatball. Jesus says that this unity will actually reflect the Glory of God. It makes me want to be a part of that unity…how about you? I remember growing up with church pot lucks. Some people like to refer to them as “pot bless.” However, from my experiences, not all pot bless selections are a “blessing.” It became my practice to keep my eye on the entry way door as people brought Crockpot after Crockpot of hot dishes, pans of bars, baskets of rolls and the like. If you paid enough attention to the conversations before and after church, you could begin to glean the knowledge of who was diabetic, who had high blood pressure and or who was on some new “non-sugar, non-fat, carrots only diet.” I would watch to see who brought what tray and or what Crockpot…then I would know whether or not to avoid the “blessed” item. It seemed that cookies without sugar were not as good as cookies with sugar. Bars without butter were not as good as bars made with, say, a pound of butter, and hot dishes without salt tended to be a bland combination of noodle and tomato. All this to say…there was indeed some “luck” involved when it came to the flavor of your plate. I think it was roughly third grade when a peanut farmer came to our school. He shared with us the intricacies of the peanut. We had been studying about George Washington Carver. This farmer brought enough peanuts to shake a stick at. Note: This event took place before the age of peanut allergies in schools…and if someone did happen have a peanut allergy…it may have been considered a serious “pot un-luck." I was incredibly excited! I loved peanuts! In fact, there had been a few sightings of peanuts within our house. It seemed that in our home, peanuts were such a treasured possession that they would remain secreted away only to be eaten by Dad when all of the children were in bed and ice cream was being served. Totally not fair! I have done my best to keep this tradition alive and well. This peanut farmer brought pounds upon pounds of peanuts, still in the shell, just ready to be cracked into. At the end of his talk…(which I remember very little…except that Mr. G.W. Carver was not the same man that crossed the Delaware, Christmas day in 1776)…he allowed us to take as many peanuts home as we wanted. It may have been upwards to 10lbs of peanuts that I brought home in a brown paper grocery bag that day. In John 17:6-19, Jesus continues His prayer to the Father, now praying for His disciples. His prayer parallels an idea that he had shared with them at the Sermon on the Mount found in Matthew 5. Jesus’ prayer, in a sense, is that they could “salt” the earth…that they would bring flavor to the world…that people could taste and see that Jesus is good. 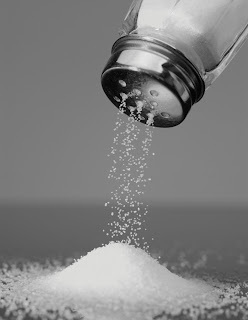 Salt in its very nature, is used to preserve and bring flavor to life. Does your life burst with flavor or does your life leave a bitter taste? Jesus is calling us to bring the flavor of Christ to life. Sarah is gone for the weekend. Her family sent for her to head home to Michigan, so that they could honor her by celebrating her up and coming 40th birthday. 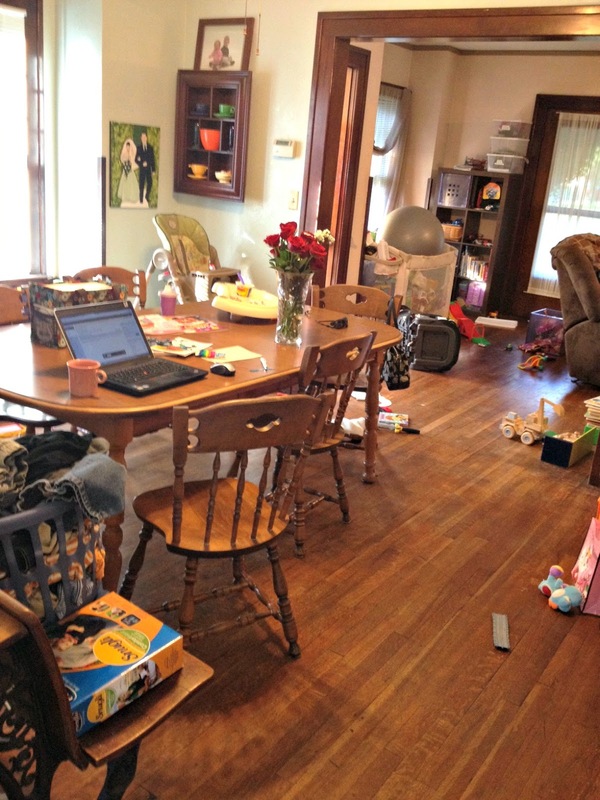 I have been trying to keep the house tidy while she is gone…but I’m not…or perhaps more accurately…the kids AND I, are not. I have been trying…seriously, I have been trying, but apparently…I am really bad at it…because despite the fact that I am trying to make the place a little cleaner…it is actually getting worse! The truth of it is…that it will continue to get worse…yet it will be clean before she gets home…well…it will at least “look” clean. I could do it now, but then it will just get messed up again…so why try? It’s not time. Tomorrow will not be the time either. In the Gospel of John chapter 17, Jesus begins to pray. This moment is just before he is going to be crucified…and he begins his prayer with the phrase, “The time has come.” If you read through the Gospel of John, you will see Jesus refer on several occasions…that his “time has not yet come.” Later in the same Gospel we find that…His time has come. The time for the full revelation of his saving work is about to be revealed. When Jesus reveals his saving work…the Glory of God is shown. Whenever Jesus saves a soul from sin…heals a body…creates new life within us…Jesus is glorified…and when Jesus is glorified…God is glorified. This truth has changed the way that I look at salvation…it is so much more that “fire” insurance. The salvation that Jesus has offered to me…is something that reveals his very character…the character of a loving, gracious, merciful God. May the Glory of God be revealed! 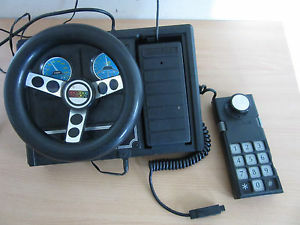 In the late 80’s and early 90’s it was customary to enter into the realm of advanced technology while pursuing your driver’s license. In the summer before our sophomore year in high school, my classmates and I stepped into the hot non-air conditioned confines of our public high school building and underwent hours of drivers training classes. These interesting classes of stop signs and passing lanes, helped us refresh our sleep deprived, overworked, I just weeded 3 acres of potatoes, selves. Attendance was required…open eyes were not. The experience was much like playing Turbo on the Atari…without the dying children and prison…or like sitting in one of those grocery store carts with the attached car. You turn the wheel, yet, you really have no control over where the cart is going…nor what is being put into the cart. You desperately want to steer away from the broccoli and back over to the cookies, but your mom strapped you into the “car” too tightly and continues to repeat “No” after every request for Little Debbie snacks or Cocoa Puffs. Once completing the required classroom hours and simulator hours, you sat down to take a written exam. If you were lucky enough to correctly guess enough answers, they gave you a “permit” to drive. To her credit, she allowed me to finish the drive home and did not allow me to drive again until I had completed the next requirement…actual behind the wheel training. I remember very distinctly the feeling of suddenly having full “access” to a whole new world of options. I had just stepped into something that had always been out there...as a promise for the future…but had never yet experienced. In John 16:23-33, Jesus reveals a truth that throws the disciples into a whole new world of thought. He tells them, that from the moment of his crucifixion…the disciples will be able to have direct access to the Father, which was unheard of in their culture. They had always needed a mediator…a priest…someone to go before the Lord for them. However, when Christ was crucified…the veil in the temple was torn…and suddenly a whole new world was revealed to the disciples…and all who chose to follow Him. We can have full access…to the Father...because of what Jesus did! Incredible!